When Mark Giordano and his wife Lauren imagined and established Team Giordano three years ago they didn’t set out to win awards for their charity work. They simply wanted to develop an initiative to support high-need schools in Calgary and provide students with a focus and encouragement in academics and physical fitness as well as promote healthy lifestyles, leadership and community involvement. But the Team Giordano program has raised eyebrows not only in Calgary but across North America. That was evident when the 33-year-old Calgary Flames defenceman was honoured with the Muhammad Ali Sports Humanitarian Award at the annual ESPY Awards in Los Angeles this July. For his charity work, Giordano was named winner of the league’s 2016 foundation award and was a nominee with Nick Foligno and Ryan Getzlaf for the 2016-17 Mark Messier leadership award - won by Foligno in June. 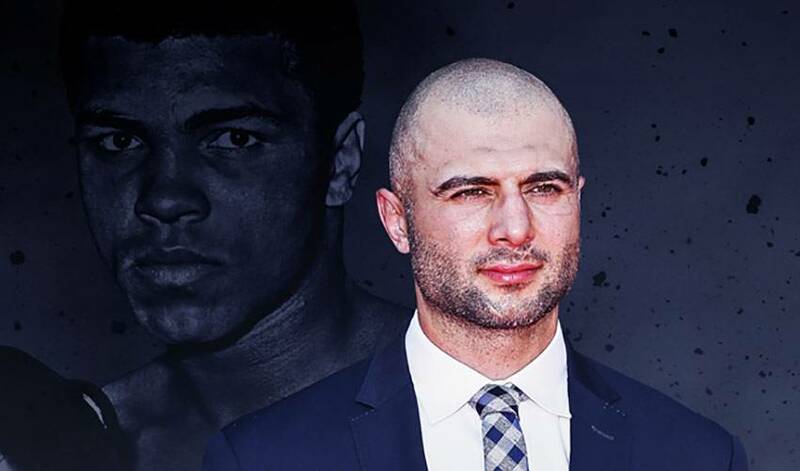 Giordano found out after the season that he had been nominated for the ESPY award that pays homage to athletes “whose continuous, demonstrated leadership has created a positive impact on their community through sports.” The award was renamed for the renowned championship boxer after his death in June 2016. The other nominees were four-time major golf champion Ernie Els, Arizona Cardinals wide receiver Larry Fitzgerald and New York Mets outfielder Curtis Granderson. Giordano remarked that he not only was enthusiastic to be invited to the ESPY Awards, but that he met his football hero Aaron Rodgers, the quarterback of the Green Bay Packers, as well as Ali’s daughter Laila. Giordano has been an inspiration to kids long before he and his wife began the Team Giordano project in October 2014. When he was 14 his older sister Mia was killed in a car accident (he still honours his sister with two stick taps to his helmet after the national anthem). The Toronto native also went undrafted after two decent seasons with the Owen Sound Attack. He scored 32 goals and 97 points in 133 regular season games in junior, but scouts didn’t seem to be interested in his services. Giordano did attend a summer camp for the Arizona Coyotes, but he had enrolled at York University after his final season in Owen Sound, only to find out that the Flames presented him with a late invitation to their summer camp in 2004. Giordano made the most of that opportunity. He wound up accepting an AHL contract from Calgary. But after three seasons bouncing back and forth between the minors and the Flames as well as a contract dispute he took a chance to go to Russia and play with Moscow Dynamo for a season. He proved his worth. He was part of the Canadian Spengler Cup-winning team and was named to the Canadian roster for the 2008 World Championship. A decade later, he has developed into one of the premier defencemen in the game and was named the Flames captain prior to the 2013-14 season after the departure of Jarome Iginla. As Giordano’s game developed — he’s now played in 681 NHL regular season and playoff games — so did his thirst for off-ice endeavours. In three years, Team Giordano has raised more than $300,000 and impacted the lives of 1,900 youngsters. As part of his ESPY honour, his charity received a $100,000 grant. “As a young guy you learn and you grow,” Giordano said. “You realize that there are opportunities to get involved in off-ice charity work. A lot of credit has to go to my wife. She’s a very giving person and I’ve learned so much from her.